International Organization of Standardization standard 22301 (ISO 22301) is a proposed standard that specifies security requirements for disaster recovery preparedness and business continuity management systems (BCMS). 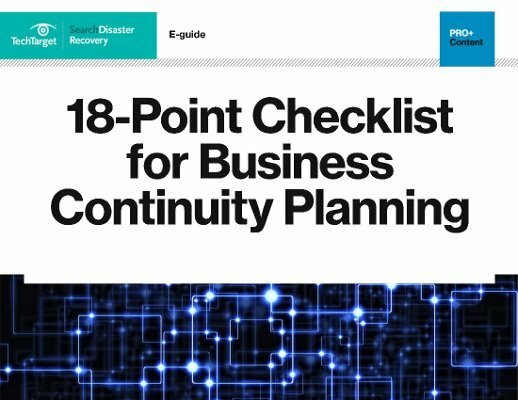 Download your checklist for completing an actionable business continuity (BC) plan—with this all-in-one, ready-to download PDF containing 7 BC planning mistakes to avoid and 11 steps to ensure sure-fire continuity. According to the British Standards Institution (BSI), the proposed ISO 22301 is very similar to British Standard 25999-2, the latter of which was published in 2007. The draft standard would introduce a requirement for metrics for business continuity management, as well as additional emphasis for BCMS operational planning and setting controls. The draft version of 22301 was approved by an ISO technical committee earlier this year, and is now under review by ISO members. According to the BSI, the draft standard will likely replace the existing BS 25999-2.